Amsterdam is one of the most bicycle friendly cities in the world. Over 60 percent of inner city trips are made by bike and the designated bike lanes can make even the most fearful biker (myself) comfortable. A 24 hour bike rental, depending on the agency you choose, will cost about 12 to 15 euros, but will more than pay for itself as you can nearly access all parts of the city via bike. Remember to lock your bike carefully and make a note of its location. There are so many bike riders in this city, it is easy for the bikes to look the same after a long day of exploring. Although the yellow and red tour bikes definitely make you stand out as a tourist, they are easy to locate amongst a sea of Dutch bikes. While biking to the must -see Van Gogh Museum, be sure to take the more scenic route through Vondelpark, which has several ponds and an open air theatre. 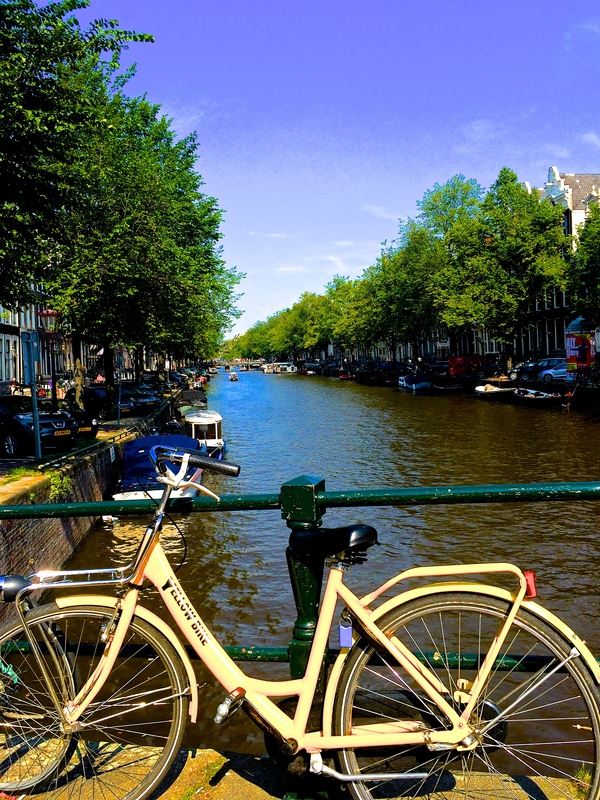 After a couple days of biking, you may want to relax by exploring the city via a canal cruise. Between the canals and the bike lanes, renting a car here is not the best idea. If you can’t find a cheap flight to Amsterdam, fly into nearby Brussels, explore Belgium’s many beers in Bruges and then take the train over to Amsterdam. Enter your email address to follow and get info on exciting places to add to your bucket list!